On this page,the goal is to give you a general idea about how strictly you should judge your evidence when you analyze it after a paranormal investigation. It will also give you an idea what to look for in case some other, less disciplined ghost hunter tries to pass their crap off as something important. Generally, I’m against the idea of taking someone else’s evidence, and shooting it full of holes. Frankly, I think it’s rude. Here, you have this guy that thinks he’s captured a great ghost photo. He feels good about himself, and that he’s accomplished something. Let’s kick him in the teeth! On the other hand, if someones bragging, shoving their so called glorious find, and evidence collecting skills in my face, then I think my boot needs to be in their mouth! Evidence doesn’t require a belief structure. It simply exists, or it does not. If the evidence in question requires that I have to believe in the spiritual method in which it was located or captured, then it MUST be thrown away. There is questionable evidence that may be debated on, but if it is captured by any means that is considered in itself to be ‘paranormal’ then you’re wasting everyone’s time! For some of you, this area of the site might sting a bit, but this section of The Beyond is not about being nice, and coddling people. It’s about being truthful regarding evidence so we can all grow as investigators. Ya gotta understand. The methods below, are in and of themselves “paranormal” in nature. These aren’t things that should be used in an investigation. They should be the SUBJECT of an investigation. We should be investigating THEM! Look, like 80 percent of people in paranormal research CLAIM to be sensitive, psychic, or a medium. I guarantee that more than a few of them are either lying or insane. Either way, How can you trust it? How do you sort the good from the bad? If you have to believe in someone, and their powers for their evidence to make sense, then it’s worthless to the paranormal research field. You can’t use it, and keep your own credibility! I’m taking this from my Metaphysical Equipment Page. By many, ‘dowsing’ is considered the oldest method for ghost, and spirit detection. They’re supposed to be like a questionable EMF meter. In theory, brass ‘L Rods’ can detect magnetic fields without getting confused by the Earths electromagnetic field. There is NO FACTUAL data that says that these things actually do that! What if I don’t believe in that, or what if the person using the Dowsing Rods is a nutjob? Once again, you HAVE to believe! If someone tells you that they used Dowsing Rods to find a ghosts location, make sure you find out the E.M.F. readings, and ambient temperature, and so on. If they can’t tell you, then there’s a problem. These items have no scientific value. Most likely, nobody’s going to tell you that a Ouija Board helped them find evidence because they’re too timid to try one. Pendulums, on the other hand seem to be a lot less scary. If you don’t believe in these tools, or believe in the person using them, then what do they really mean? For Pendulums and Ouijas demand the same technical data that you would if someone used Dowsing Rods. There are a lot of websites on the net that showcase paranormal based information, and many of them even contain alleged evidence of ghosts. Unfortunately, that’s all you’re given, for the most part. You’re never given any other data about the investigation in question. Also, in many cases, the evidence is doctored in some way to make sure that you, the viewer, or listener is seeing, or hearing exactly what the webmaster wants you to see, or hear. That could be a big problem if that methodology goes beyond their website, and into the field. With that in mind, here’s a little list of 10 questions that you should ask yourself if you’re given someone else’s evidence to review. Be cognizant of these red flags as with a little experience, you will see them popping up again, and again. I hope this gives you an idea of what to look for, and also know what NOT to do when showing off your own stuff! This is something that I cooked up in order to help another investigator analyze her own evidence. It’s pretty simple actually. All it is, is simply taking any piece of alleged evidence, and shooting it full of holes in order to determine its validity, and throwing it away if it’s reasonably questionable. We’ve already discussed other people’s evidence. It’s probably time we discuss how deal with your own. Let’s break apart the possibilities of an orb in a picture. How many things can an orb possibly be? List them, and note how possible, or probable each one is. Here are 10 things that I’ve heard investigators, and ghost hunters use as explanations for an orbs, and the likelihood of each one creating them. 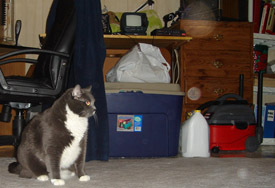 Dust– A single particle of dust can create an orb. It is IMPOSSIBLE to rule out the possibility. It’s dust. Case solved. Humidity– Determine how humid it was when the photo was taken using a hygrometer. If you cannot account for humidity when the photo was taken, then you need to accept that the probability of this orb being humidity is high. Pollen– What was the pollen count when the photo was taken? As an investigator, this should be in your records. It’s your job to know this. If there was a high pollen count, then this orb is pollen. End of story. Precipitation– No respectable investigator tries to pass off orb photos when it’s raining or snowing, or whatever. As an investigator, you KNOW if it was raining. A Bug– It’s hard to say, but it’s definitely in the realm of possibility. Lint– Unlikely unless you’re taking pictures near a clothes drier. A Lens Flare– Possible if there are many sources of light in the area when the picture was taken. A Reflection– How many reflective surfaces were present when the picture was taken, and where was the camera flash? Airborne Particles– Random airborne particles can create an orb. It is IMPOSSIBLE to rule out the possibility. Once again. The orb is NOT paranormal. Something Paranormal– Impossible to substantiate. After you list your possibilities, if any one of them is impossible to rule out, then it’s over. Someone can always shoot you down using that possibility as an excuse, and you have no argument. They aren’t wrong, and you KNOW it. On the other hand, sometimes all of the natural possibilities that you list COULD be less than probable. When that happens, you’re left with a lot of improbable natural things, and one increasingly POSSIBLE supernatural one. This grading curve can be used on every piece of evidence you, or anyone else captures from video to photos, or even E.V.P. When you make your list, you have to be extremely strict. This is difficult to do, but in the long run, it’s far more rewarding than just winging it, and taking your evidence too easy. How many different things can be a mist in a picture? How many different things could produce that sound on your recorder? If you judge the evidence too harshly, you’re a closed minded cynic. If you’re too easy on it, you’re a gullible flake. The bottom line is… It’s not full-proof, and if you’re honest with yourself, there will always be doubt. As I stated a second ago, there will always be doubt. This is why you must learn to use all of your gadgets, and devices together to form the most educated conclusion about what you’ve found. Say you captured a mist photo, which has a time stamp on it as 1:23AM, and you’ve listed a buttload of things that that mist could have been, but as you went through your list, each natural explanation seemed less, and less likely. That left you only with the supernatural explanation. So, you go back to your data that you collected during your investigation. You notice that in your paperwork that at 1:23AM, your EMF meter started acting goofy. Also, at that exact same time, the ambient air temperature went down in the area because in your partner’s paperwork, she reported the temperature in the same room at 1:24AM. So now you have a mist photo that you’re calling ‘supernatural.’ That’s 1. You have your EMF meter going wonky at the same time. That’s 2. AND you have the temperature readings. 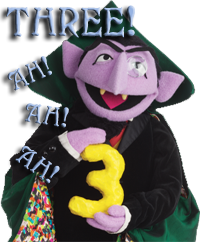 That’s 3! If you ask me that’s a pretty strong case! Use all of the equipment that you have. Document EVERYTHING. The burden of proof falls to you! I truly hope this page gave you something to think about, and hopefully it helped some of you understand, and learn some basics. I also hope that the rest of ya, (mediums & sensitives) have calmed down, and aren’t as pissed at me anymore!